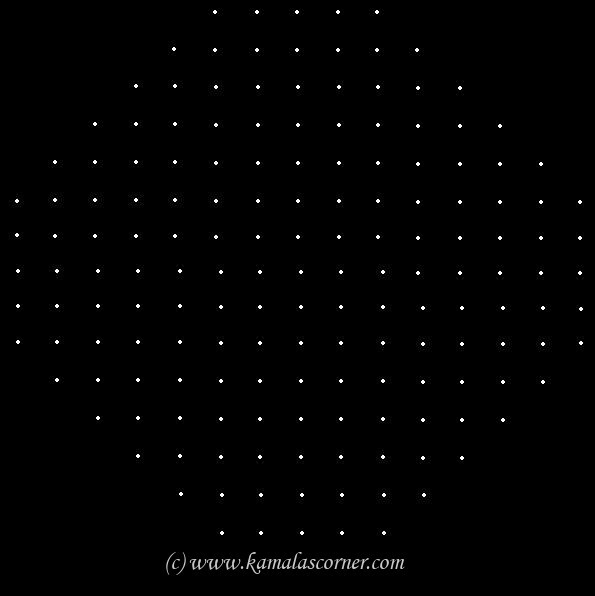 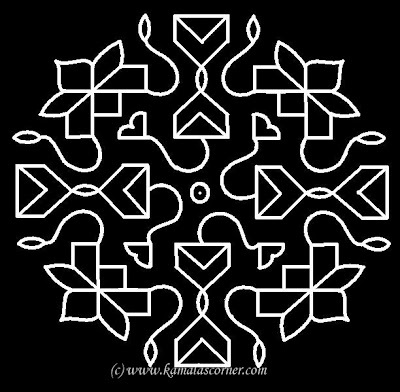 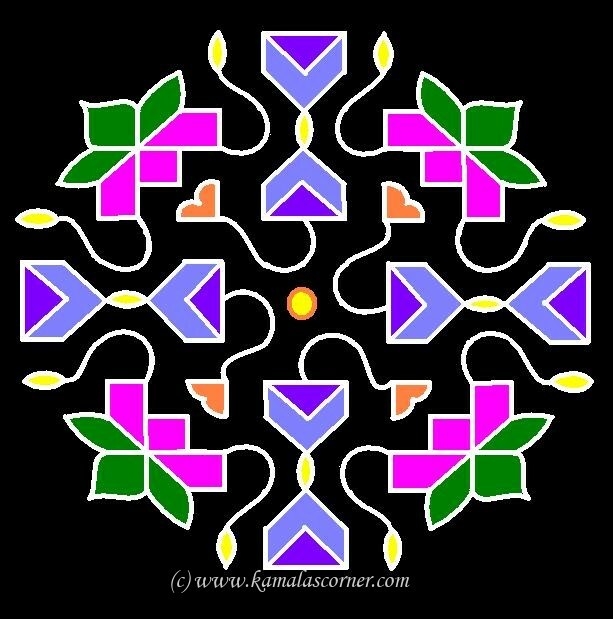 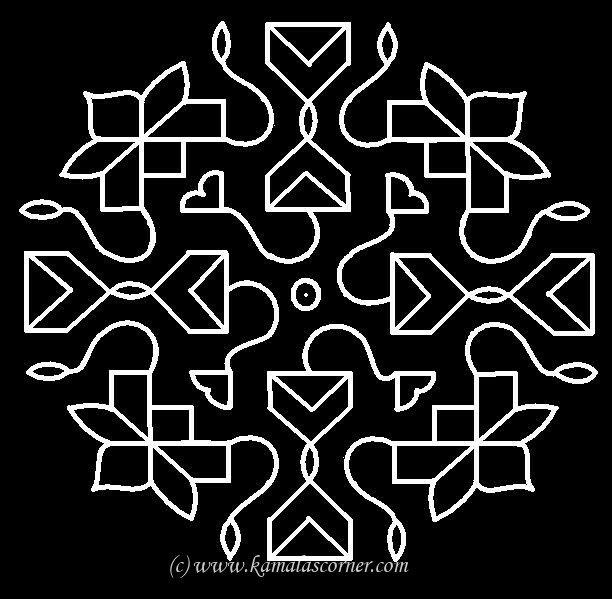 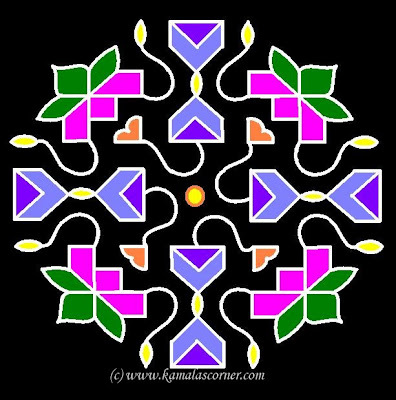 15 - 5 parallel dots (Neer Pulli) Kolam. 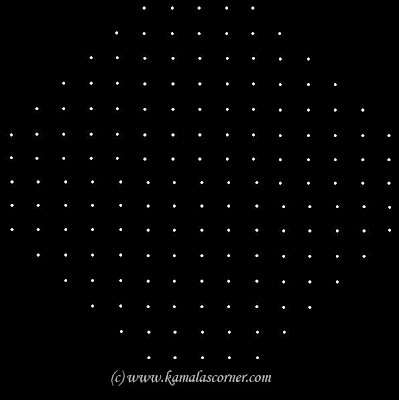 Put 15 dots in the center, 5 lines - leave one dot at both ends and put dots at both sides and stop at 5 dot as shown above. 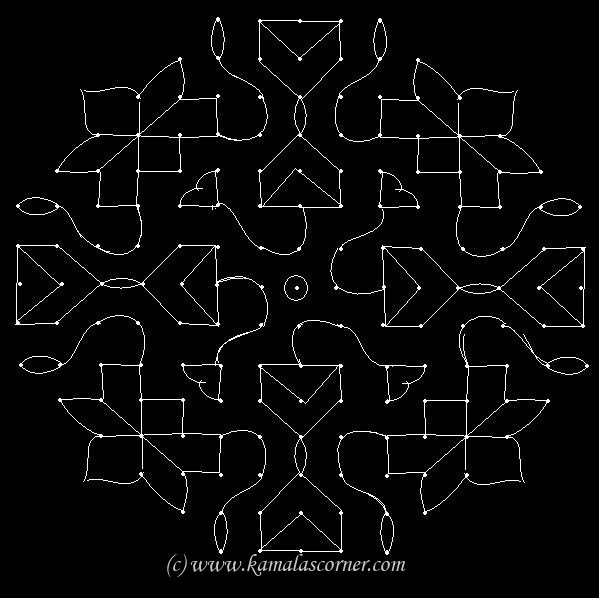 Join dots as shown above. 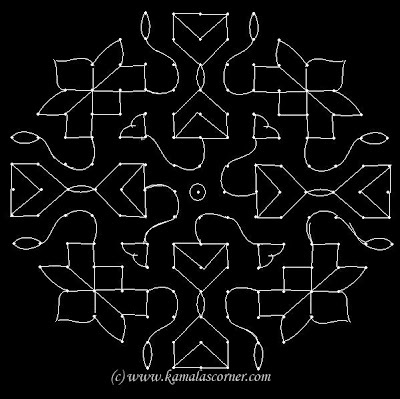 Draw thick lines and fill with desired colour powders.